DENVER -- The Environmental Protection Agency said Friday it will not repay claims totaling more than $1.2 billion for economic damages from a mine waste spill the agency accidentally triggered in Colorado, saying the law prohibits it. The August 2015 spill at the Gold King Mine in southwestern Colorado released 3 million gallons of wastewater tainted with iron, aluminum, manganese, lead, copper and other metals. 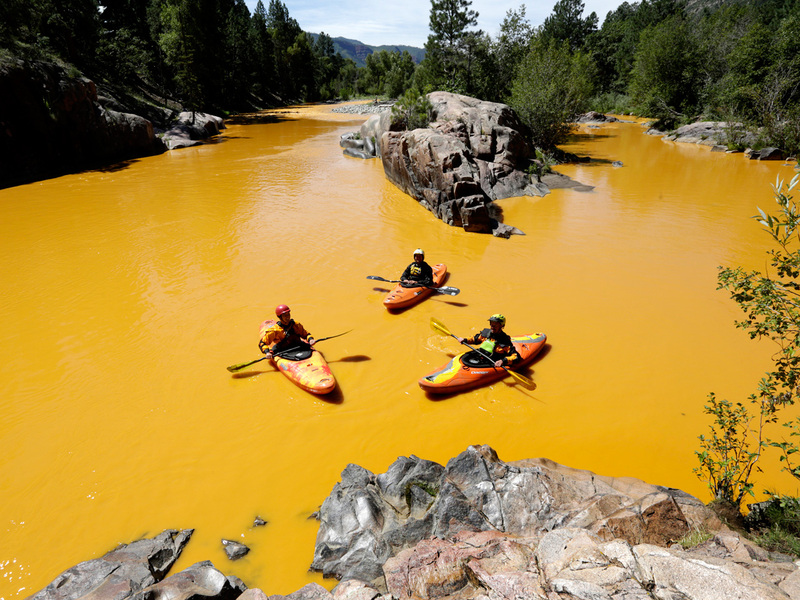 Rivers in Colorado, New Mexico and Utah were polluted, with stretches of waterway turning an eerie orange-yellow. Rep. Scott Tipton, R-Colo., expressed disbelief at the EPA’s decision, saying the agency had promised to compensate the people who suffered. “The news today is a complete departure from that commitment, and our states, local governments, and tribes can rest assured that we will continue to work to make the EPA accountable for the mess they have made,” he said. New Mexico Sens. Tom Udall and Martin Heinrich and Rep. Ben Ray Lujan, all Democrats, also accused the agency of reneging on a pledge. “We are outraged at this last-ditch move by the federal government’s lawyers to go back on the EPA’s promise to the people of the state of New Mexico - and especially the Navajo Nation - that it would fully address this environmental disaster that still plagues the people of the Four Corners region,” they said.